A roundtable, held last week at the Institute of African Studies reports that the Nigerian government's "...campaigns have not addressed their plans for combating the growing insecurity that has left Nigerians living in fear, and paralyzed educational and economic activities in large swaths of Northeastern Nigeria." A string of terrorist attacks have occurred as Nigeria has struggled to build a functional and coherent response. Fortunately, there is a science-based approach to create societal coherence that can protect Nigeria from both internal and external threats. It is called Invincible Defense Technology (IDT) because it assures invincibility, peace, and even economic progress, to the nation and the military that employ it. IDT is the twenty-first century's leading-edge defense system. If Nigeria establishes IDT Prevention Wings of the Military, they will ease high tensions, reverse mistrust, crush hatred, create stability and permanently prevent war and terrorism. Extensive scientific research objectively says, "Yes, the system works." Why not use it in Nigeria? Time is running out. The best time to act is now, before Nigeria's perilous situation worsens. Dr. David Leffler was a member of the US Air Force for nearly nine years. Dr. Leffler served as an Associate of the Proteus Management Group at the Center for Strategic Leadership, US Army War College. He now serves as the Executive Director at the Center for Advanced Military Science (CAMS) in Fairfield, Iowa and teaches IDT. 1. 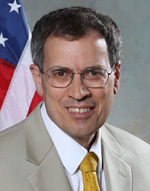 Dr. David R. Leffler (Fall 2009). A New Role for the Military: Preventing Enemies from Arising-Reviving an Ancient Approach to Peace. Journal of Management & Social Science (JMSS), Vol. 5, No. 2., pp. 153-162. This peer-reviewed journal is published by the Institute of Business & Technology BIZTEK in Pakistan. The abstract was published in Session 6, p. 44 of the proceeding of the "International Sociological Association Research Committee 01 Seoul National University & Korea Military Academy International Conference on Armed Forces & Conflict Resolution in a Globalized World." July 14 - 17, 2008, Seoul, Korea. The paper was also presented at KIDA, the Korea Institute of Defense Analyses. Read 2370 times	| Like this? Tweet it to your followers!